Amphenol, the world leader in Military, Aerospace and Industrial interconnect solutions, has manufacturing plants across the globe. Most of its factories are qualified to ISO9001-2000 standards. 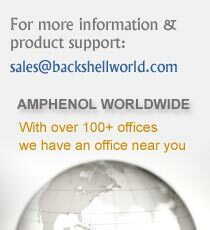 Many Amphenol Backshells are qualified to SAE, AS85049 standards and listed in Quality product list (QPL). More styles are getting approved on a regular basis and hence please contact us for the exact approval status of specific component.